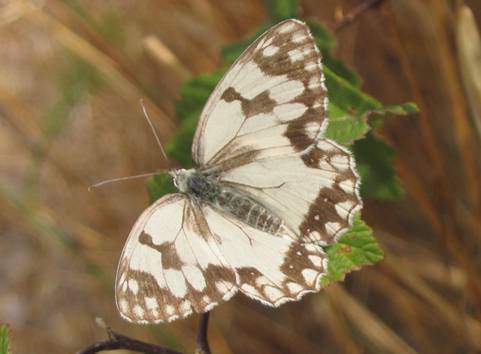 This species is found only in Spain and Portugal and a small area in the extreme south of France. 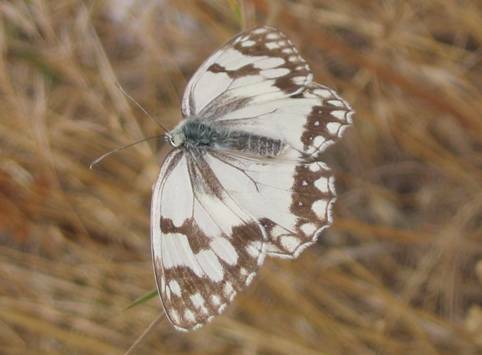 The basal area of the wings is relatively devoid of any dark markings which gives the butterfly an amazingly white appearance. This is especially so in flight and I was fooled into believing I was looking at a Bath White or similar at first. I like to call this one the 'bootlace butterfly' as I find it is instantly recognizable by the two thin, black streaks either side of the abdomen on the upper hindwings which remind me of a pair of bootlaces. Well, there's nothing wrong with a bit of imagination? !